Our visit to San Francisco the other week reminded me of a couple of genera of plants that whilst not spectacular can be very pretty. 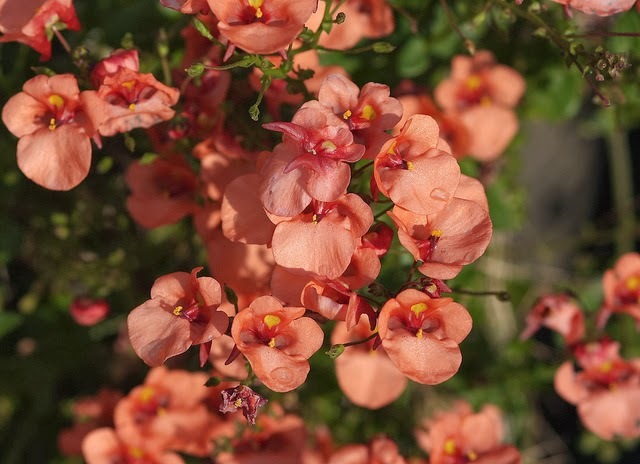 these are Diascia and the closely related Nemesia, both natives of South Africa. 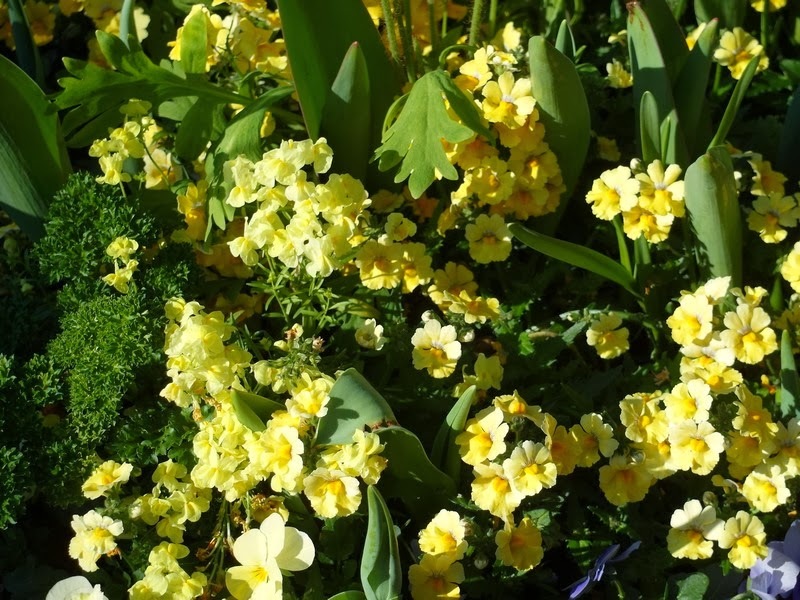 In San Francisco they were freely flowering in the thin January sunshine in various planters around Fisherman's Wharf. It took me a moment or two to recognise what was providing the delicate colour. 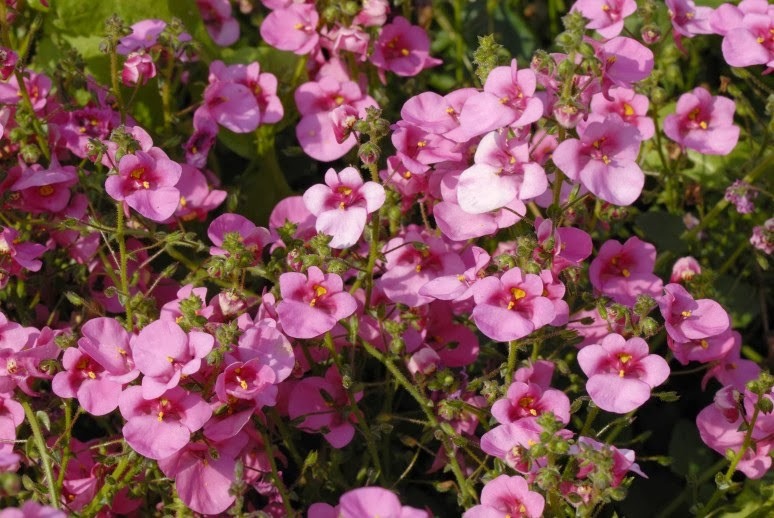 Most of these plants are low in stature and all have masses of small flowers so the effect is definitely 'pretty' rather than big, bold or spectacular. 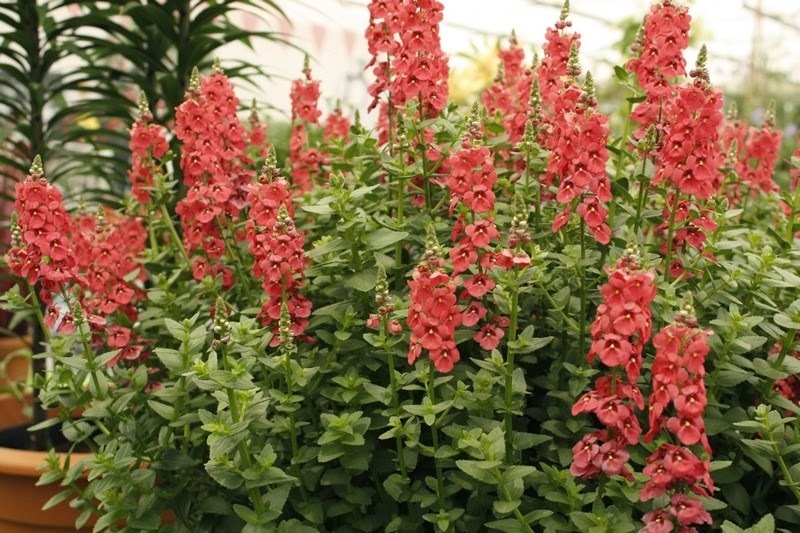 Most Diascia have pink flowers, although the colour range delves into lavender and soft apricot orange. Apparently in South Africa they have a short flowering season before the heat sends them into dormancy. 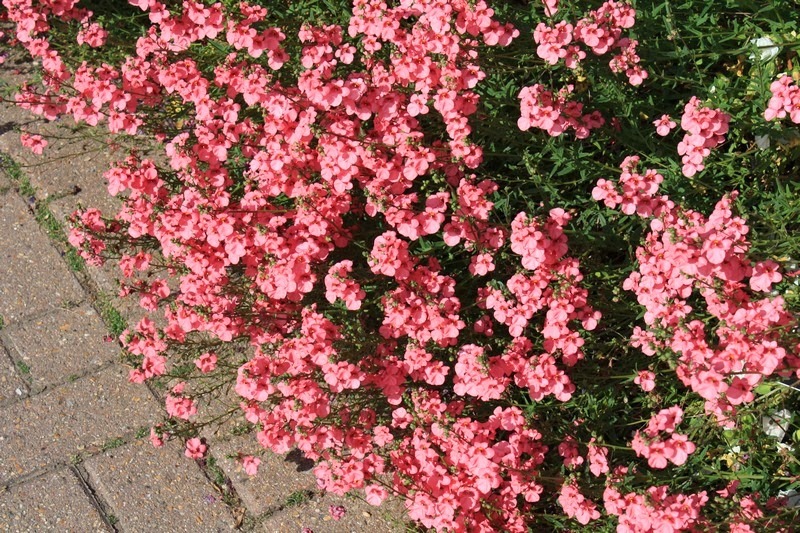 When grown as half hardy perennials in the UK and other temperate areas, the cooler summers allow for an almost continuous flowering season. The tallest is D. rigescens which can reach 60cm(2ft) with quite substantial spires of flowers. The recent hybrid 'Sundiascia Rose Pink' would seem to be a hybrid with D. rigescens in its parentage. 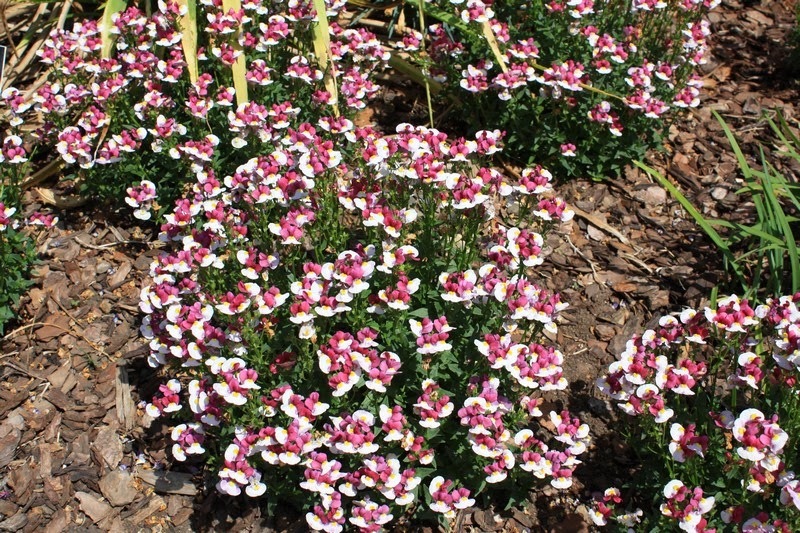 Nemesia have similar small flowers also over low growing plants. I have always liked these since I grew the seed raised, multicoloured 'Carnival' strain as a child. They were great early summer bedding, providing fast colour but the plants were short-lived and died by mid season. 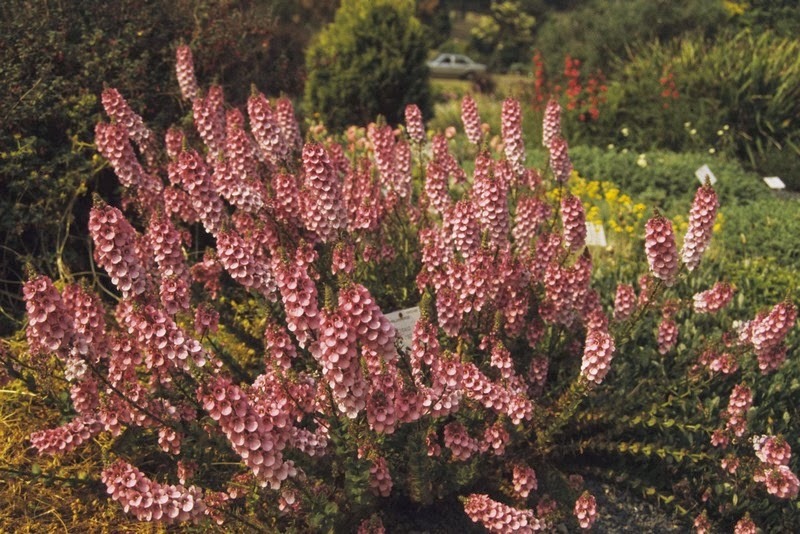 There are now many modern cutting-raised perennial cultivars with a long flowering season. 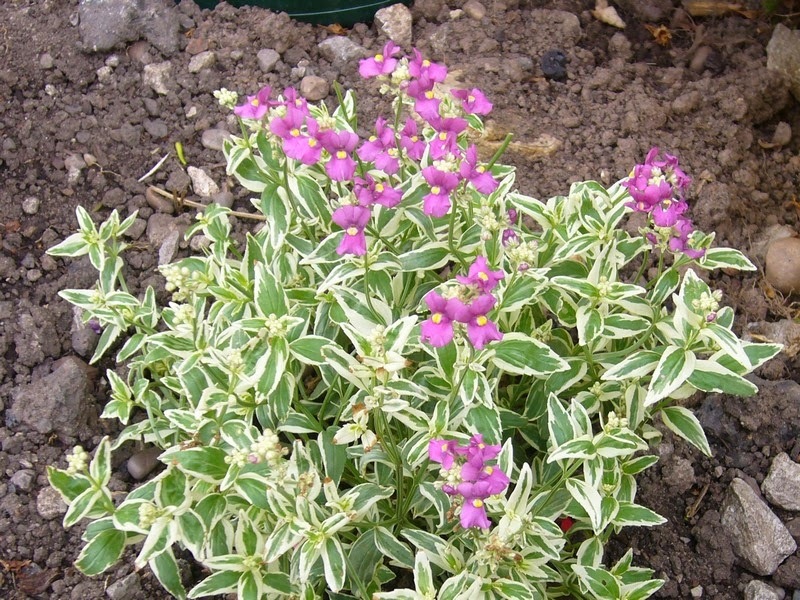 Some nemesia also have a gentle, sweet perfume, although its a long way down to sniff the delicate scent! 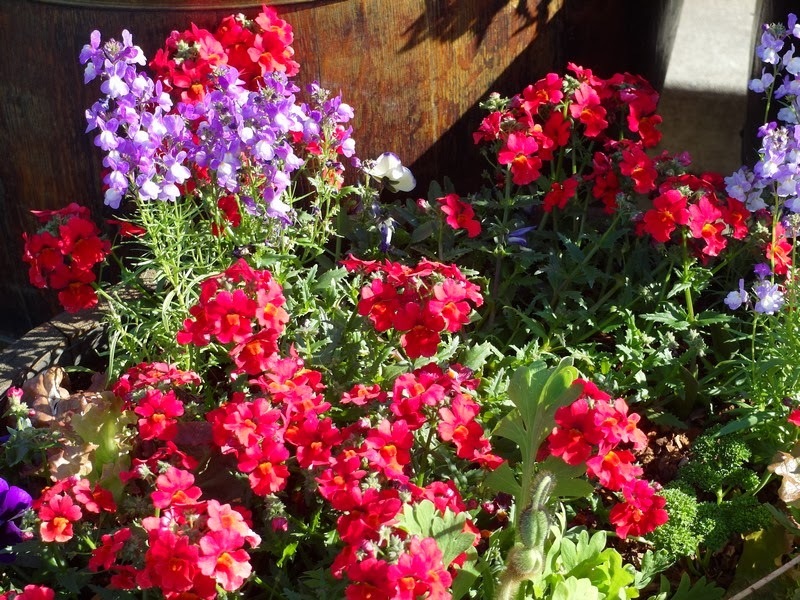 We used to grow both nemesia and diascia when we ran our nursery and my main memory of them is that the latter were almost impossible to handle as the tiny stems tangled and twisted. Plants taken to shows were usually unsaleable on arrival! Penhow nurseries have specialised in both genera for a number of years, winning many Gold Medals including nine at the Chelsea Flower Show. 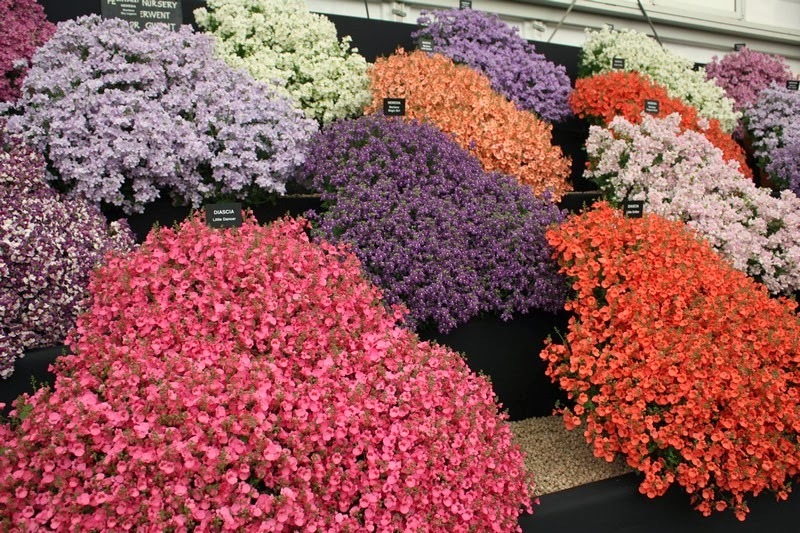 Their displays of perfect cushions of flower en masse do put them in the spectacular category! Each triangular patch of colour is made up of three huge, beautifully tended plants. How they manage to bring them to the show and still looking pristine is admirable!